A game demo? What is this, 1998? 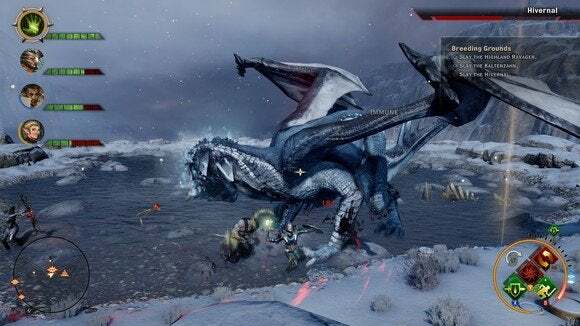 Did you miss out on Dragon Age: Inquisition last year? Well for some weird reason, EA and BioWare are now letting you try the game out for free. I know, right? Someone released an actual game demo in 2015? Weird. And not just a ten-minute slice, either. You can play the first six hours of Dragon Age: Inquisition for free, through Origin. That's a hefty chunk of content—longer than some entire shooter campaigns, though it's still a relatively small portion of a game the size of Dragon Age: Inquisition. If you play for six hours and decide you enjoy the game enough to purchase a full-fledged copy, all of your progress will carry over. No need to retread. Also potentially of note with this demo version: The multiplayer mode is entirely free. In other words, BioWare is probably desperate to get people to actually play the multiplayer, which sounds sort of like a Dragon Age version of Horde Mode. I don't know, because I have literally never touched it and doubtless never will. But I assume that’s the most likely explanation here. 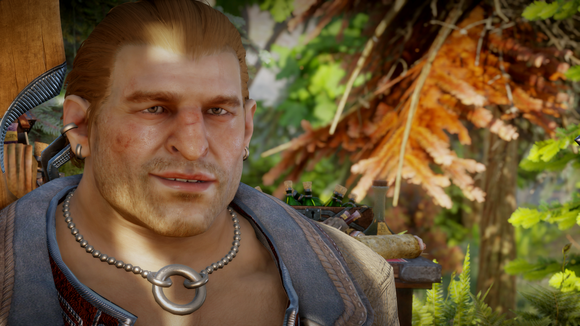 Six hours of single-player mode is more than enough time to bask in Varric's luxurious chest hair. From the Origin page: "Get unlimited free multiplayer, including both multiplayer Expansion Packs with the Dragon Age: Inquisition - Trial. Explore the world of Dragon Age with friends. Experience incredible adventures and fight sinister enemies with friends who own the game and those playing the trial." Anyway, it's a great deal for those who're strapped for cash at the moment—or anyone who's been on the fence regarding Dragon Age: Inquisition (though I doubt that category is very large). Wouldn't it be nice if this were the start of a game demo revival? You'll of course need an Origin account to take advantage of the offer, but other than that you should be able to jump right in.